Hong Kong Art Week has officially begun, and art lovers from all over have gathered here for what’s going to be a jam-packed week of exhibitions hosted by some of the biggest contemporary art galleries across the globe. 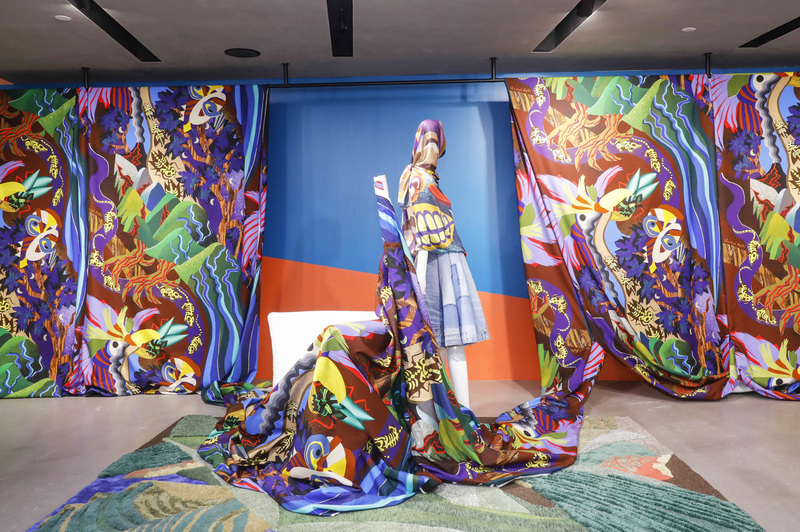 Luxury brands and retailers are joining in on the action, too, as they prepare to present special collaborative works with artistic talents from around the world. Read on below for our list of exhibitions that aim to fuse the worlds of fashion and art. 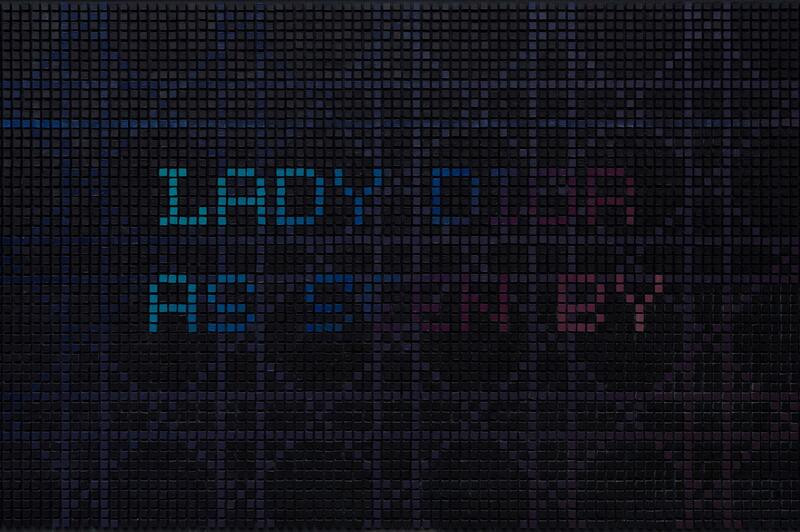 Following its previous success, Dior is once again hosting its ‘Lady Dior As Seen By‘ exhibition at Art Basel Hong Kong; this year, it will feature a video installation, titled ‘Idolatry’, created by Chinese artist Li Shurui. Inspired by the choreographed card displays used at large sporting events more than 15 years ago, this eight-minute video installation consists of two screens, both playing images depicting a text conversation between two people via a social media app. 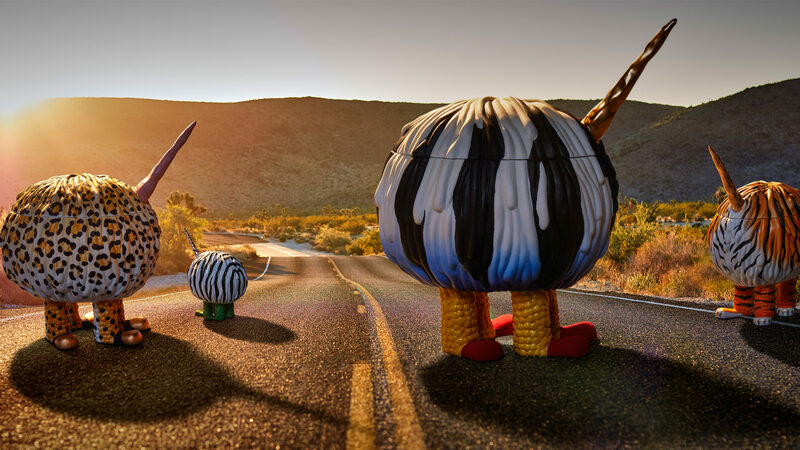 Look closer, and you’ll find that though the images look like they’ve been digitally generated, they are actually hand-painted and photographed, in the effort to showcase the conflict between the digital and the handmade in modern society. Fendi is bringing The Shapes of Water – a project by Sabine Marcelis that celebrates the 10-year anniversary collaboration of the Maison and Design Miami — to Hong Kong’s Landmark Atrium, where it’s iconic fountain provides the perfect setting for the ten resin-casted fountains created as a tribute to the beauty of nature. Each of these pieces was inspired by an important part of the Maison’s heritage, including the emblematic monument at the Palazzo della Civiltà Italiana, which has been Fendi’s headquarters since 2015; the iconic FF logo, which was created by Karl Lagerfeld in 1965; and the gheronatura of the iconic Astuccio fur designed by Lagerfeld in 1972, amongst others. The highlight? A piece that is inspired by Silvia Venturini Fendi’s Peekaboo bag – the brand’s iconic bag that is celebrating its tenth anniversary this year. 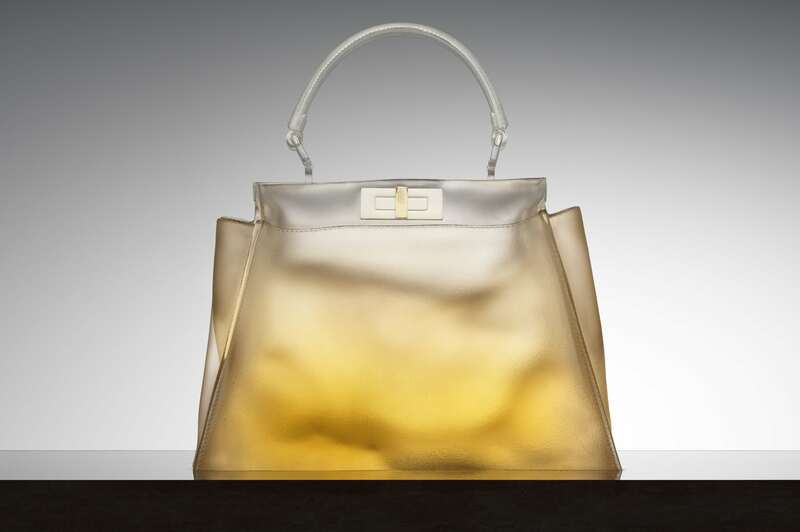 Other than the fountain version by Marcelis, the house has also tapped nine acclaimed global designers who, starting from a white canvas version, reinterpreted the Peekaboo into unique masterpieces, all of which will be exhibited at Fendi’s Landmark boutique during the same period. 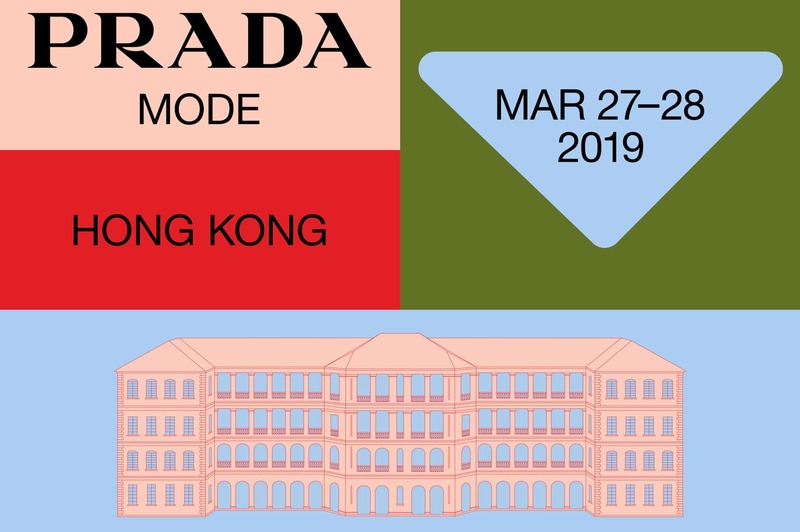 On the occasion of Hong Kong Art Basel, Prada Mode Hong Kong is taking over the third floor of Barrack Block of Tai Kwun. This private club — created to both augment and extend international cultural events at diverse locations worldwide — is strictly for members only, and features intimate dining areas, traditional lounges which also double as galleries and a private salon. The Hong Kong edition is the second iteration of Prada Mode following its inauguration during Art Basel: Miami Beach last December, and events shall include a special set up of the Prada Invites project and Dolls’ House, an installation by photographer Jamie Diamond; as well as conversations on various themes such as “Architectural Activism – between heritage and innovation – HK and beyond”, which will be hosted by Hong Kong’s registered charity Design Trust. To celebrate Art Basel in Hong Kong, Miu Miu has invited M/M (Paris) to take over their Landmark store with a specially curated art installation featuring a three-dimensional ephemeral logo the art studio has designed for the brand’s Spring/Summer 2019 fashion show. Designed to reinvigorate the dialogue between Miu Miu, Paris and its inhabitants, moving images of Miu Miu girls were also projected into the installation, which consists of a warm, playful and abstracted configuration of letters that joyfully spell out the brand’s name. This project also acts as an introduction to the ‘e-MIU-ticons’, which is a series of 10 hand-drawn emoticons by M/M (Paris) that were first seen printed across a capsule collection of t-shirts for sale exclusively at a pop-up store in Isetan, Tokyo. The creative duo, Mathias Augustyniak and Michael Amzalag, recently came to Hong Kong to personally hand-draw e-MIU-ticons onto selected t-shirts, sneakers and accessories for Miu Miu’s VIPs. Click here to see photos from the exclusive party. Louis Vuitton’s Objets Nomades is returning for the second year, showcasing exclusively within the historic Central Magistracy within Tai Kwun. The occasion will bring the latest works by award-winning design duo Raw Edges, before it gets revealed to international press at Fuorisalone in Milan this April. The entire collection is displayed in a scenography created by the internationally acclaimed Joyce Wang Studio, welcoming guests with its grand yet avant-garde architectural space that is filled with beautiful collectibles demonstrating Louis Vuitton‘s exquisite savoir-faire. In the effort to raise awareness of ocean pollution and promote marine conservation, Breguet has invited German environmental artist, Liina Klauss, to create a natural art installation made from marine litters collected in Hong Kong. 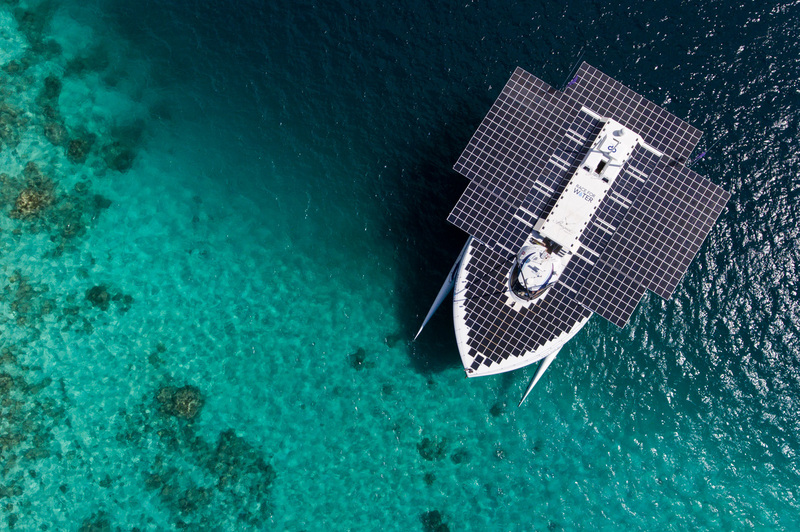 The enormous installation will be showcased at an exhibition, titled ‘Beyond Plastic: Breguet, the Marine Explorer’, set to be hosted at the former Marine Police Headquarters, House 1881. Visitors will be encouraged to learn more about the deep connection between the watchmaker and the marine world through information which includes its five-year partnership with Race for Water Foundation. The third generation of Breguet’s La Marine Collection, including the Marine Chronographe 5527 and Marine Equation Marchante 5887, will also be on display. 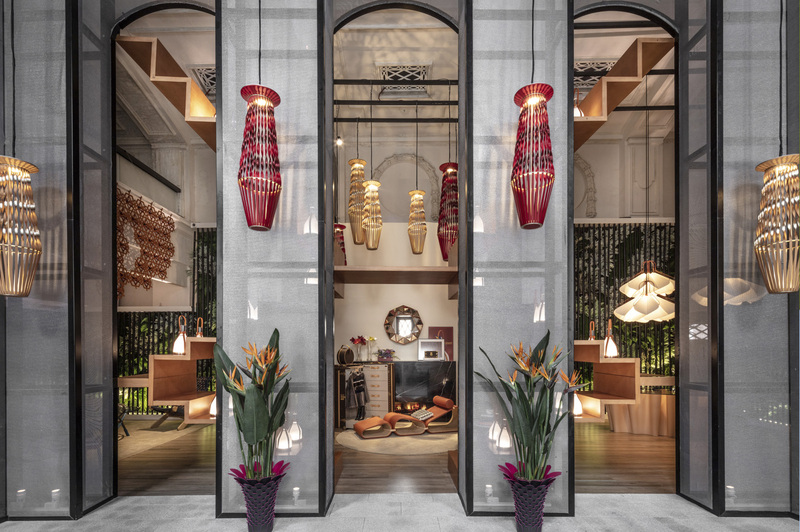 Luxury fashion retailer Joyce has invited Belgian interior architect Gert Voorjans to create and curate an original art installation for its Central flagship boutique. Titled ‘The Paint We Wear’, the resulting installation features a series of dramatically-coloured rugs and wall hangings, each filled with fantastical illustrations of natural beings dreamed up by Swiss textile artist Christoph Hefti. Meanwhile, Joyce Cabinet, a show space located in the basement of the store, showcases Voorjan’s series of fabrics designed in collaboration with the enigmatic silk and fabrics house Jim Thompson. These pieces marry elements of the East and West, topped with vibrant hues, which are all key components of Voorjan’s design aesthetics. Adhering to its commitment in scouting and introducing new creative talents to its Asian customers, Lane Crawford is presenting ‘Artistic Expressions’ during Art Basel. Being displayed both in store and online, the collection of works include original, one-of-a-kind artworks by artists from around the globe. 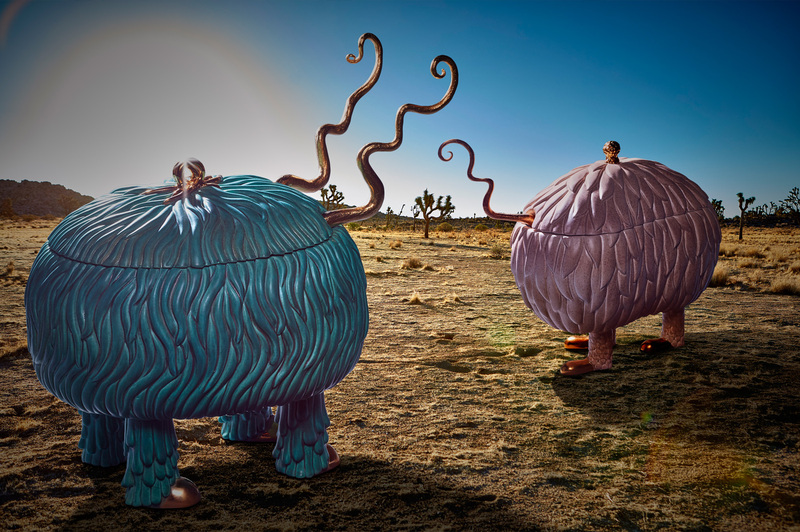 Highlights include ‘A Monstrous Adventure‘, a collection of tableware, home décor, textiles and fragrance designed by Los Angeles-based artists Simon and Nikolai Haas in collaboration with L’OBJET‘s creative director Elad Yifrach. These pieces all feature whimsical designs that are inspired by the otherworldly landscape of California’s Joshua Tree National Park, and are now exclusively available at Lane Crawford in Asia.